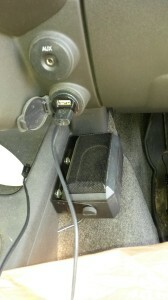 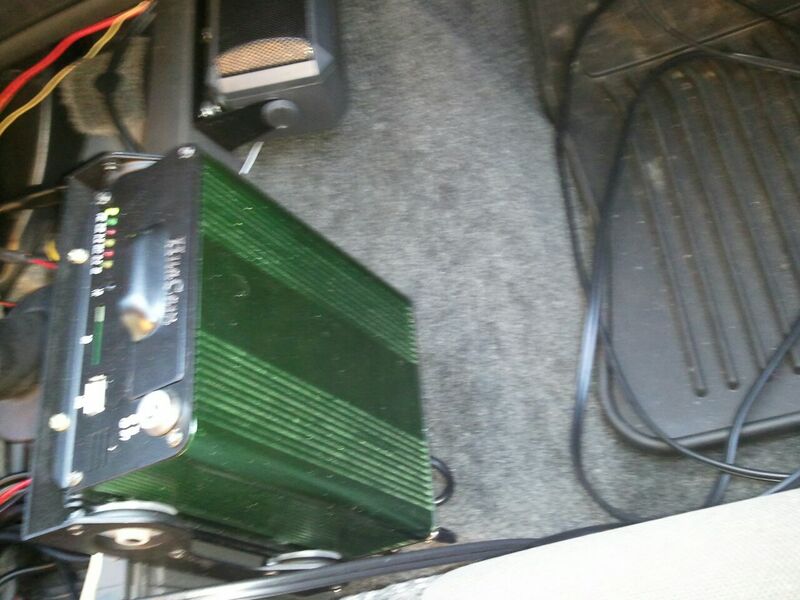 CB Radio – I installed my CB Radio inside of the center console. I also installed a external speaker so I could keep the lid closed. I ran my CB Antenna to the back under the carpet and floor panels. 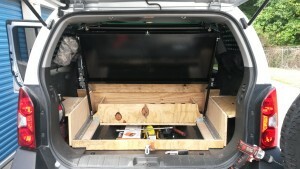 Rack in the back – I designed and built this tool box/rack in the back. 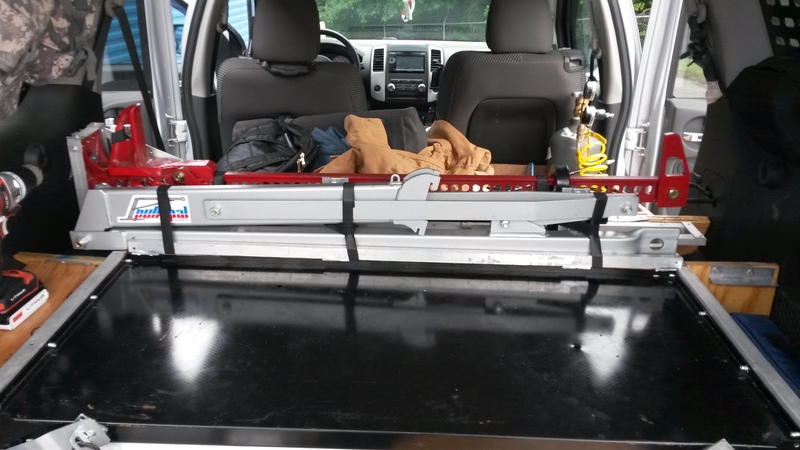 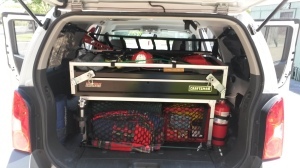 The tool box was bought from sears and the rack was crafted from aluminum using rivets. 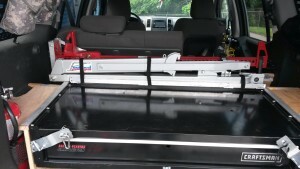 The tool box will be used to store all my hand tools. 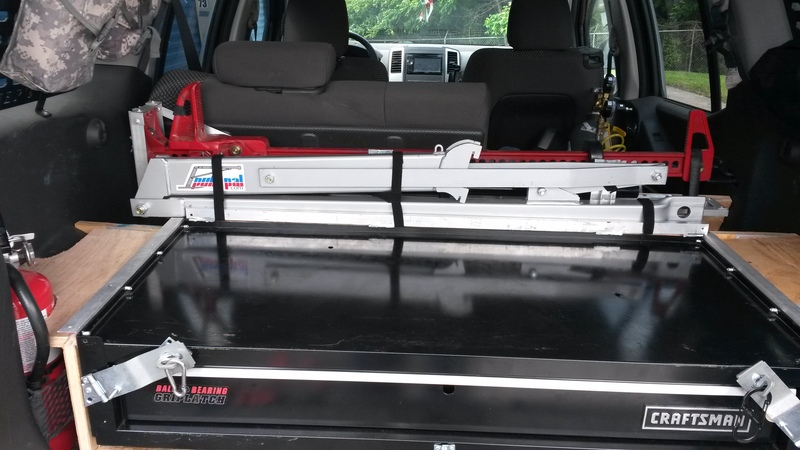 While the under the floor storage will be used for larger tools like hammers, bolt cutters and Hi-lift accessories. 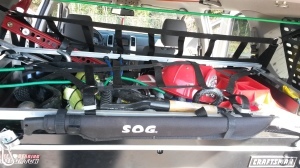 While under the rack I can store my recovery gear with spare parts and fluid. Along with this I designed a mount on the front end of the rack to place my Hi-lift. 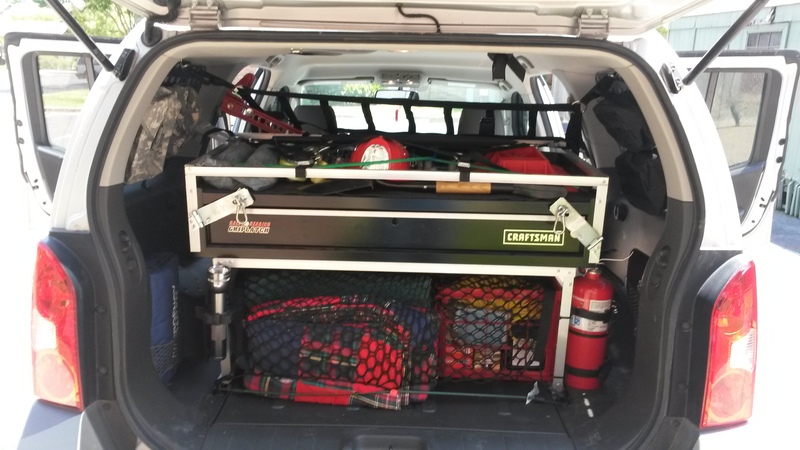 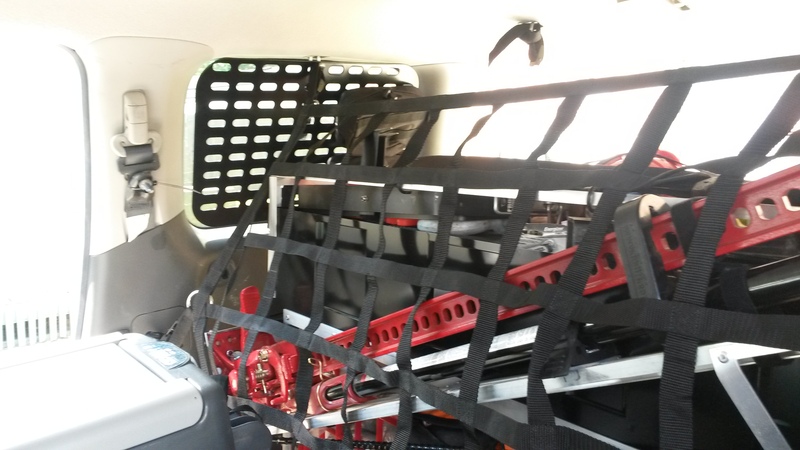 Upgraded – I upgraded the rack in the back for better origination which allows me to use the space better. 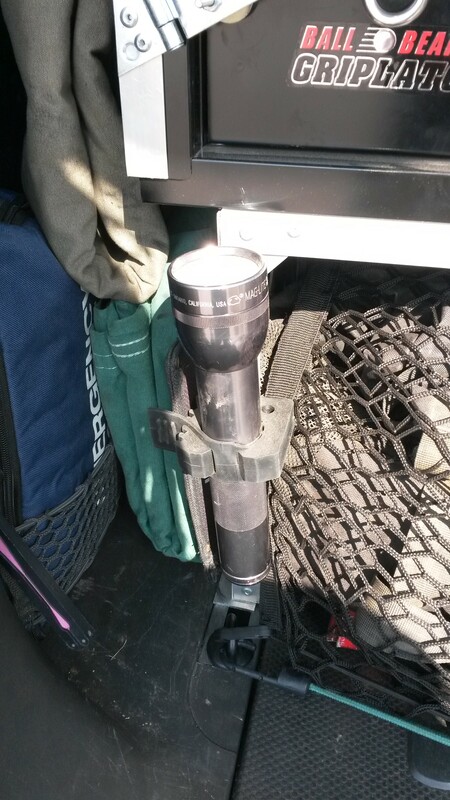 Mag Lights – I’m not one of those flash light freaks but having well placed lights can come in handy in an emergency. 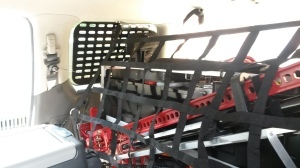 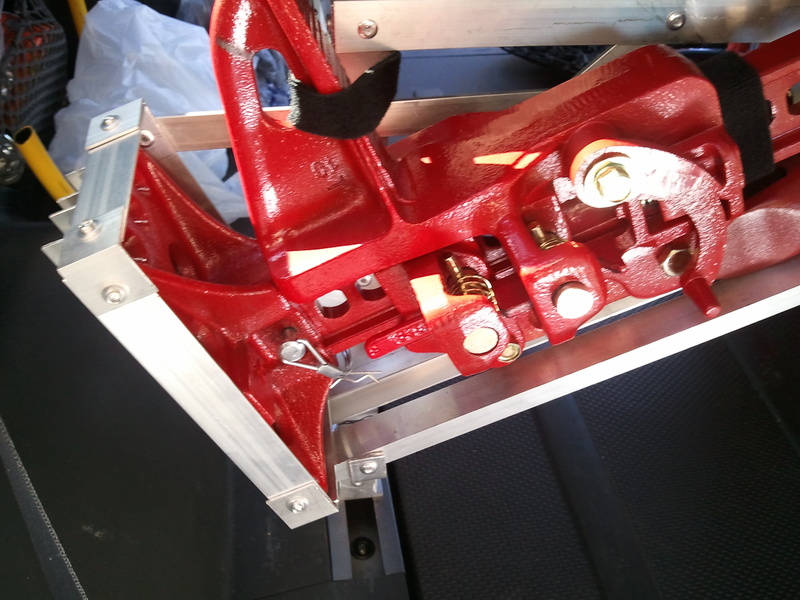 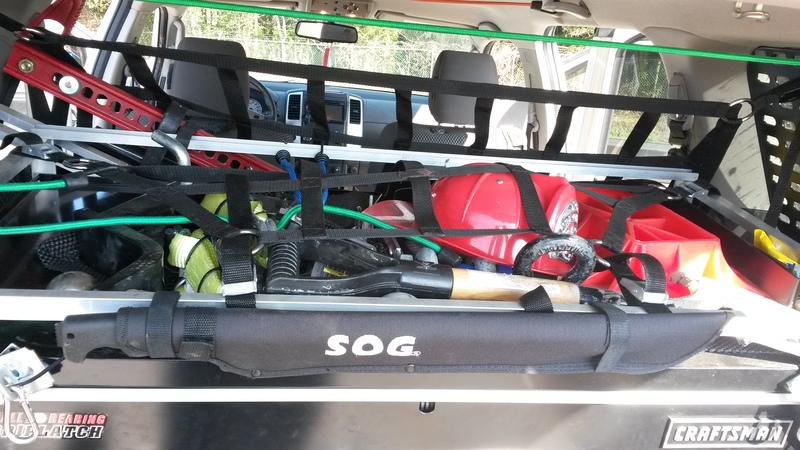 Hi-Lift, w/accessories – One of the most useful but dangerous off-road tools is the Hi-lift. 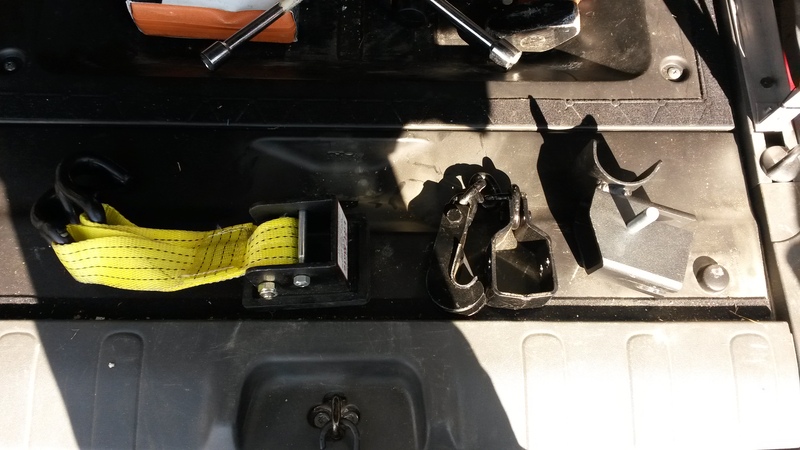 It ca be a life saver when having to replace a tire or ball joint. 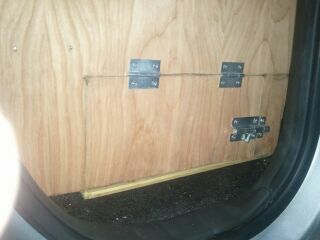 But at the same they are very unstable. One thing that can help is having the right accessories to ensure when you are going to use the high lift you can do it safer. Please make sure you know how one works before using it and practice. 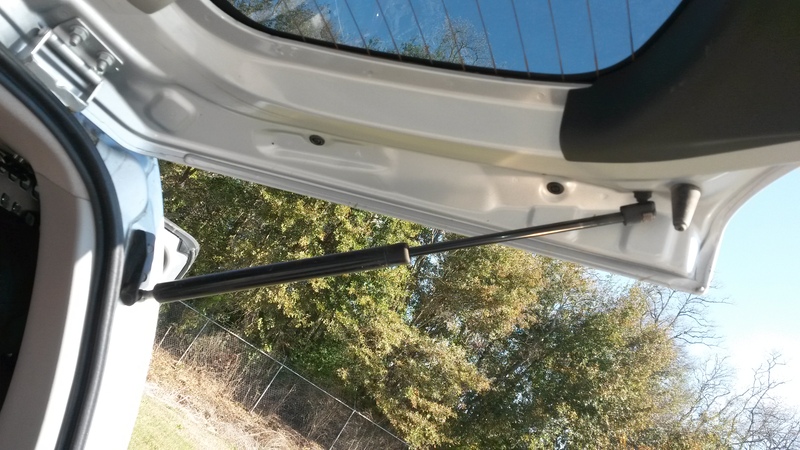 175lb rear hatch struts- To help raise the rear hatch higher to prevent headaches since I’m 6’6″. 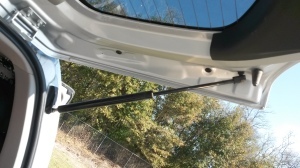 I installed new rear hatch struts that are longer and stronger. This also ensures that they work when it is cold outside along with lifting the extra weight I have attached to the hatch. 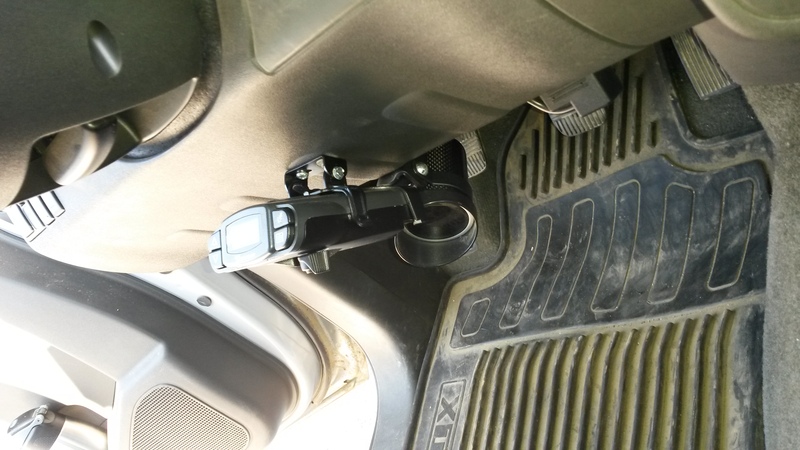 Bullydog Tuner – The bullydog Tuner is 3 tools in one. 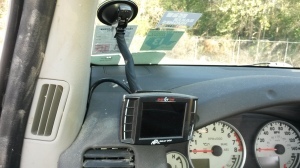 It is a multi-gauge to monitor critical engine/vehicle specs. It also allows you to clear and read any error codes your vehicle throws. 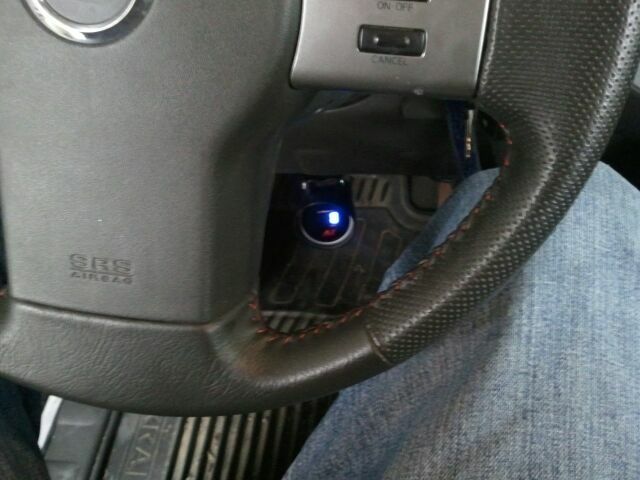 Along with this it allows you to install tunes, change idling rpm, and turn off WOT. 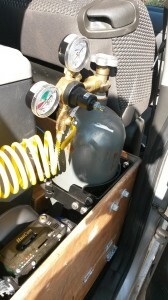 OBA pressure gauge – I currently have two air compressors and one 5 gal air tank (see exterior mods for more info). 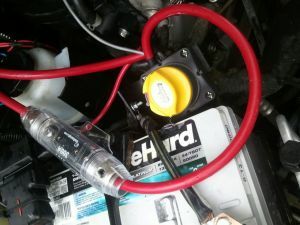 To help monitor the pressure while filling up the air tank while leaving the trail to help speed up tire inflation I installed an pressure gauge. 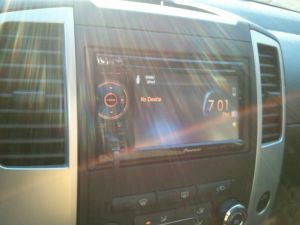 Pioneer AVH P2400BT double din deck – I upgraded my radio so I can utilize my phone and Ipod with it. Along with this I wanted to install a back up camera and few others. axxess ASWC-1 Stearing Wheel Control Interface – This device is used to allow the steering wheel controls to work with the new radio. It worked great when I first installed it. 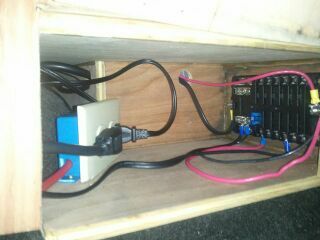 Then it stopped working and I have not spend the time to track down what went wrong if it is the device or the wiring. 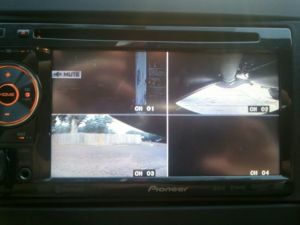 4 channel H.264 DVR – I really wanted a 3 channel DVR to record what was going on with all the cameras I was going to install. Along with this, it would act as a hub to control which camera was on the display. 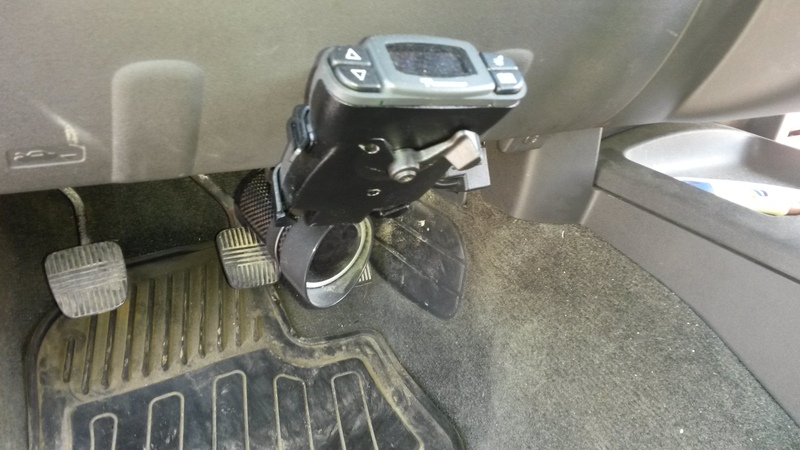 Along with this I installed a 250 gigabyte solid state hard drive to record constantly in a loop all 3 cameras while driving. The 3 cameras are Forward from the bumper, Backwards from the bumper, Rear drive shaft and pumpkin from from the transfer case. 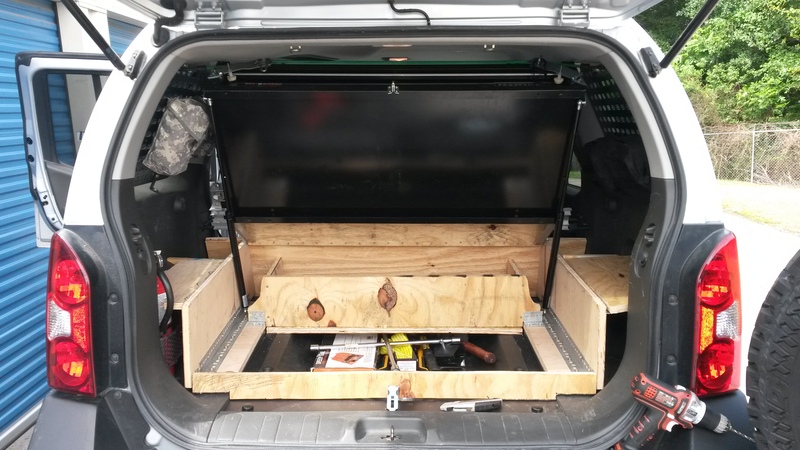 Interior Cargo Box – So I wanted to install a secondary battery and needed a place to mount a Fridge and interior hub for electrical devices. 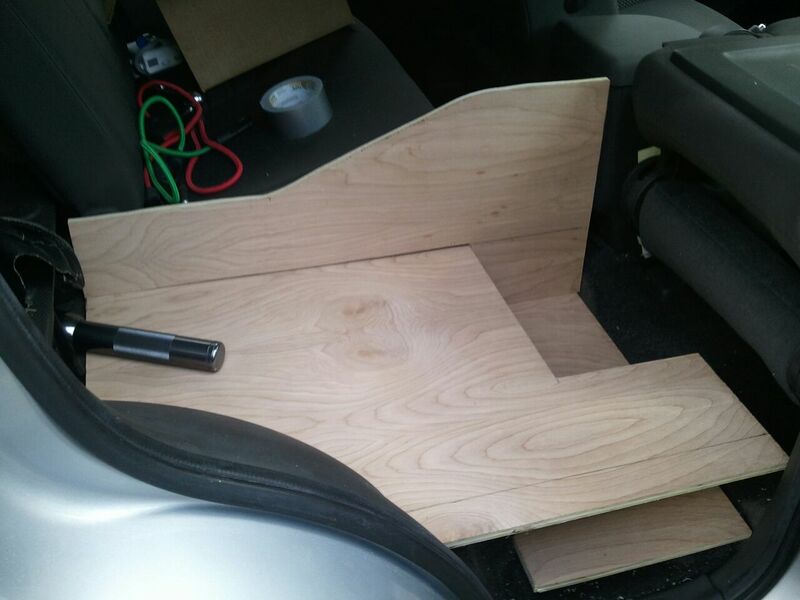 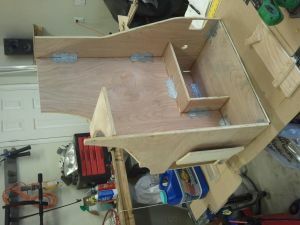 So I came up with the idea of removing the rear passenger seat and creating a box to fit in its place. 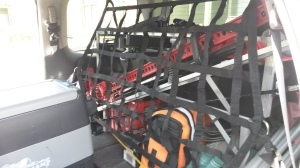 Iron Man 50L Fridge – I use to be a cooler camper like everyone. Then I kept hearing about how great a fridge is. 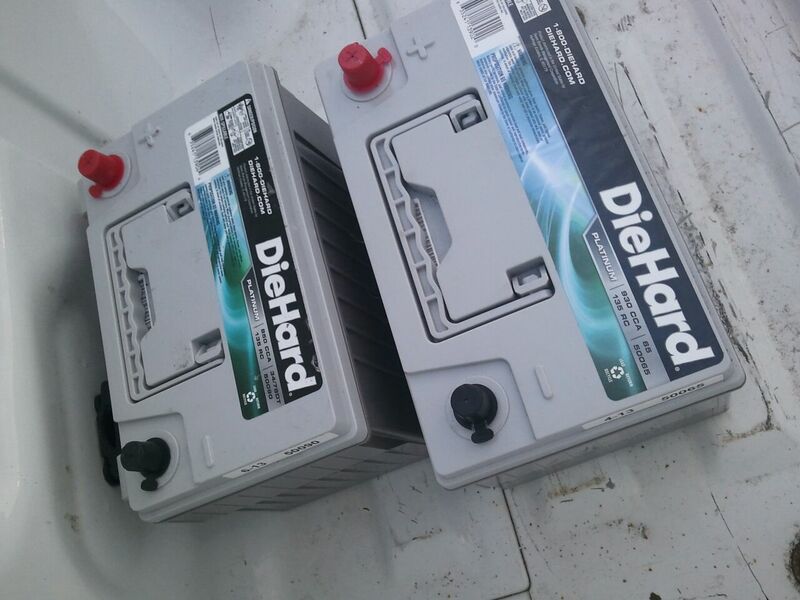 So I got a good deal on one. What can I say this is probably my favorite camping thing ever. Not to mention it can be used for groceries shopping, cold drink, food. 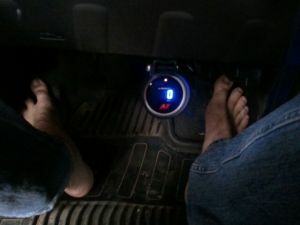 The best thing about it your food will never get soggy. 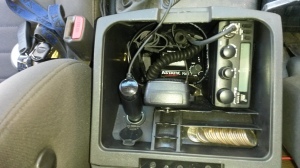 Blue Sea Fuse Box – I needed a fuse box inside and I have to say I am in love with the bluesea fuse box’s. 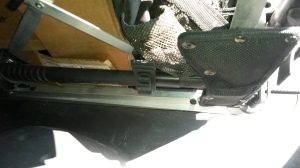 Secondary battery – So sitting in the foot well behind the shotgun seat is where I mounted the secondary battery. 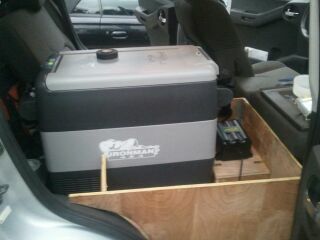 You can see the cubby which the battery fits in in the picture below. 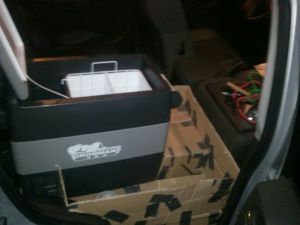 To ensure that the secondary battery can be isolated but still charge from the primary battery I installed the Motorised 275 amp Ironman 4×4 kit. I love this kit. When the primary battery drops below 12.2 volts it isolates the batteries, if it goes above 13.7 volts it connects them to charge the secondary battery. 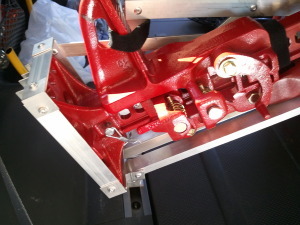 Along with this you have a switch were you can override and combine them for a winching situation. 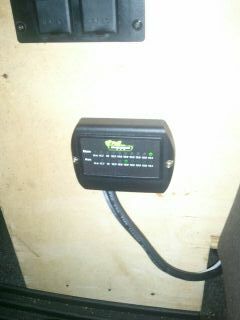 Along with this you can manually set it. It also came with a dual battery monitor that lets you know the voltage of each battery. Bucksnort CO2 tank – I installed a 10lb CO2 tank this is used for my front ARB locker along with any air tools or the occasional tire air up. Raingler Net/Divider – Once again I went with my favorite net people and got there Divider net for an Xterra. 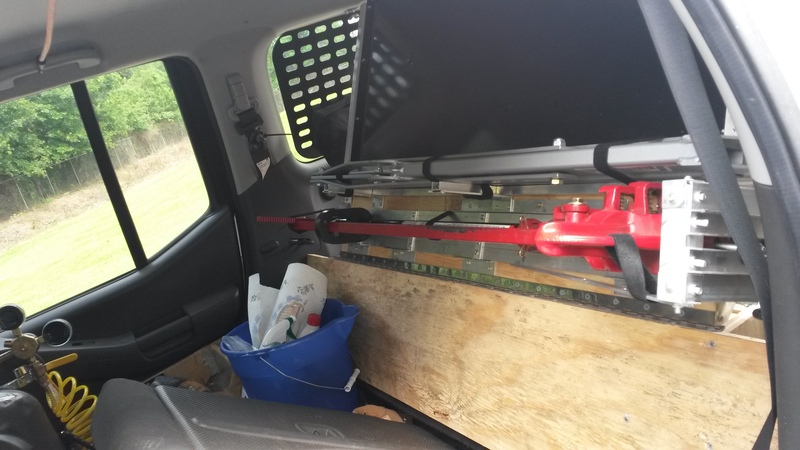 I thought this would be a great thing since I have so many objects in the back in case of a collision or roll over it would help keep the stuff back there. 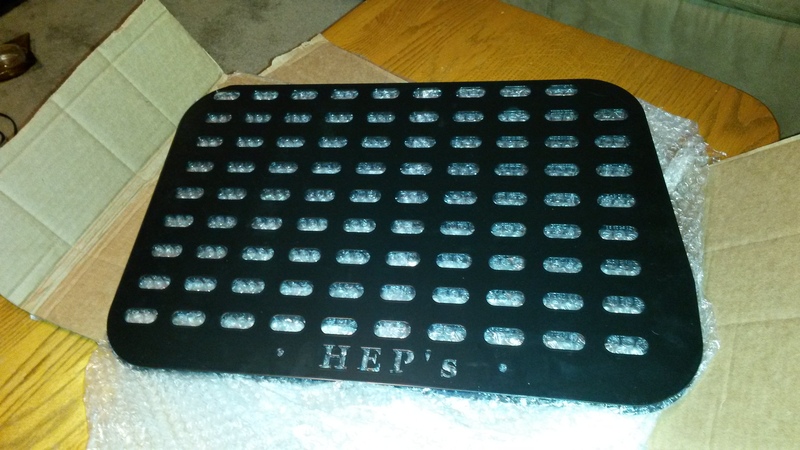 Hep rear window Molly Panels – I got two dephep Molly Panels for the rear windows. 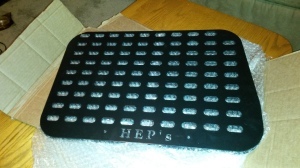 These are made by http://www.hepsdesigns.com/ They are great due to holding molly pouches with a bunch of trinkets. 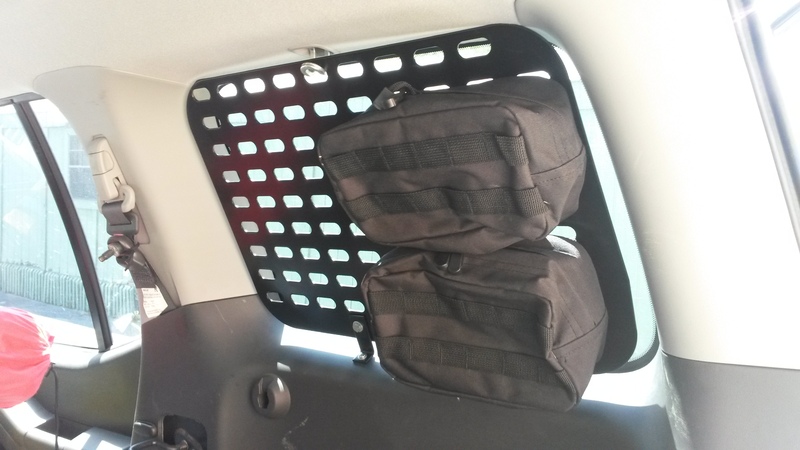 Along with this they also protect the rear windows. P3 brake controller – I installed a P3 brake controller. 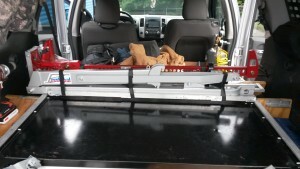 It has worked great so far I have not tested it on a trail yet with my trailer. 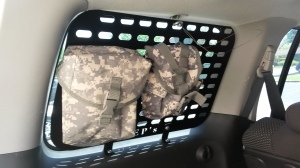 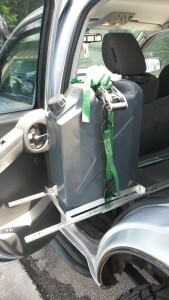 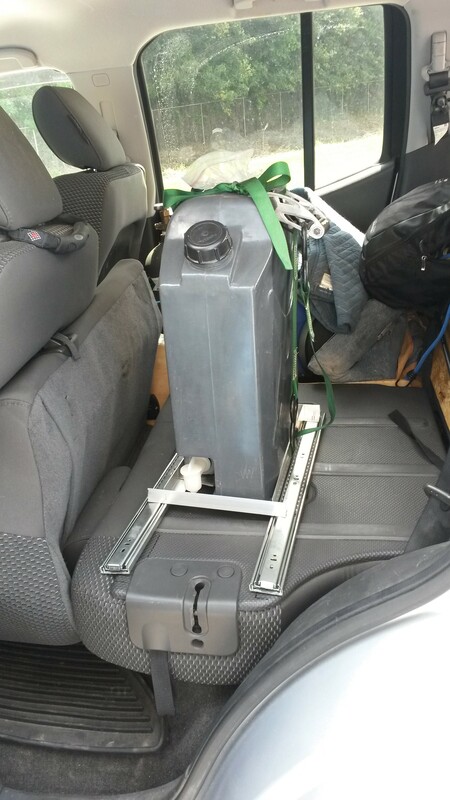 Water Jerry Can mount – I mounted a water Jerry can on some slides to the back of the back seat. 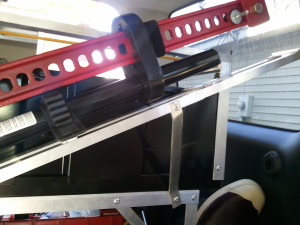 When not needed the seat can still be utilized.